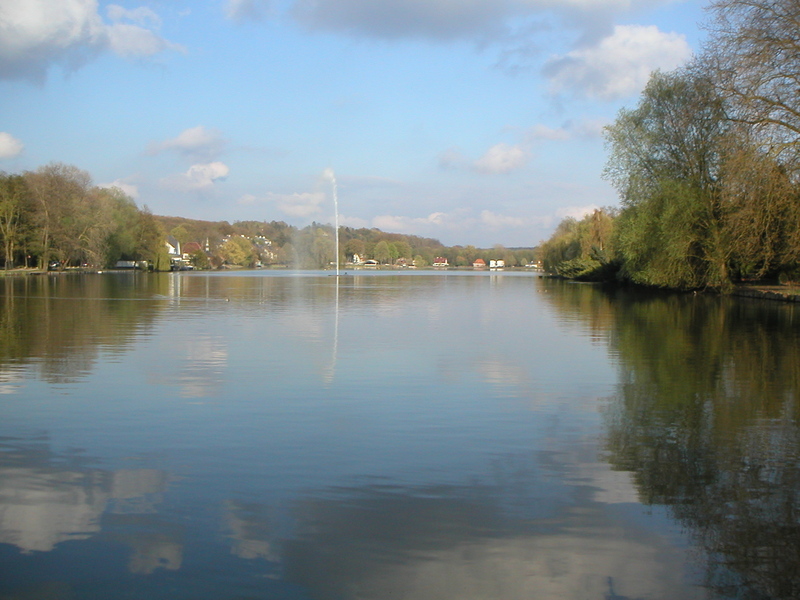 I am always surprised at how few people know about or have been to Lac du Genval, just 20 minutes away from Brussels. In a way this is better since this scenic lake is not too crowded. The lake is part of the Rixensart and Overijse villages in Wallon Brabant and Flemish Brabant and is surrounded by beautiful turn-of-the century homes. There is also a hotel by the lake, the Chateau du Lac. For those looking for a day trip out of Brussels, then you could also visit the Chateau de la Hulpe which is not too far away. This small lake also has a number of restaurants and cafes and is therefore a perfect place to chill out either on a summer evening or during the weekend. 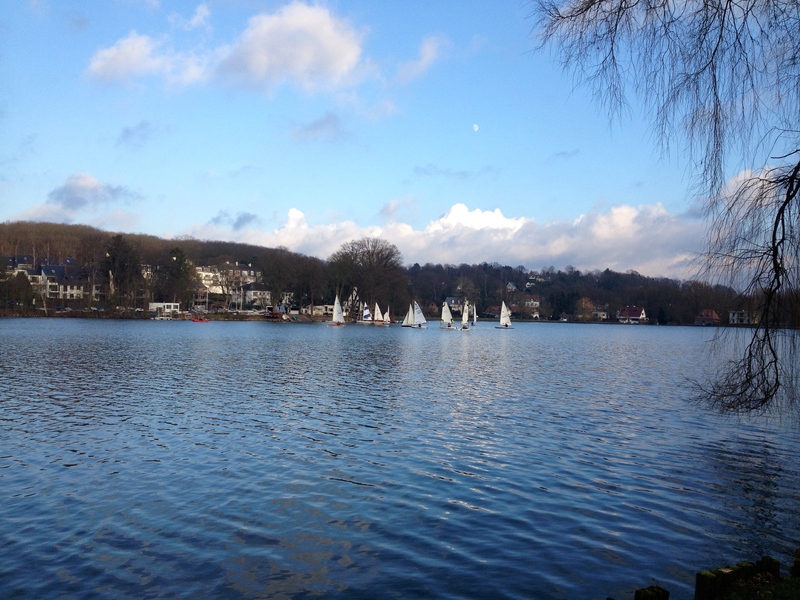 The walk around the lake takes around 30 minutes and you will pass by a small yacht club, beautiful houses, fishermen enjoying the silence away from the hustle and bustle of central Brussels. You can just stroll and enjoy the scenery but many people also come here to jog or bike in this scenic environment. But the reason I like Lac du Genval so much apart from all of the above is an Italian restaurant aptly named La Laguna. If someone puts me on the spot and asks me to name a favourite restaurant then this will surely be one of the first ones I would mention. Let’s start with the basics. There is no sophistication in the cuisine. However, both the food and service have always been consistently good whenever we have gone (countless times). The obvious selling point of this restaurant is clearly its outdoor terrace just by the lake as well as its indoor window which has a splendid vista of the lake. For someone so used to water and the sea, this is probably as good as it gets 20 minutes from Brussels. Here you will dine a stone’s throw away from the lake. The menu is varied with some specialities from Sardegna. Pasta and pizza are extremely good. I particularly like their Spaghetti alla Bottarga. You also need to look out for their specials. I can only recommend the homemade ravioli with artichokes (only served when the latter are in season) and a bottarga sauce (mullet roe). This is a match made in heaven and something I have found only at this restaurant. Their tiramisu is also very well made. La Laguna is also a child-friendly restaurant and the staff always make the children feel welcome interacting with them throughout the service. The same owners also have La Fontanell which is also highly recommended but which, unfortunately we have never been to because we cannot resist the allure of La Laguna. La Fontanell has a very good play area for children at the back of the restaurant so this is really a good place to take children. There are other restaurants around the lake but here we stick to the tried and tested. Great Italian food, excellent service and a beautiful view. What else could you ask for? Love the combination of artichoke and bottarga…definitely one to remember. Good to find your blog.